Entertainment Memorabilia Auction 2018 (#138) 09/20/2018 12:00 PM GMT+1 CLOSED! 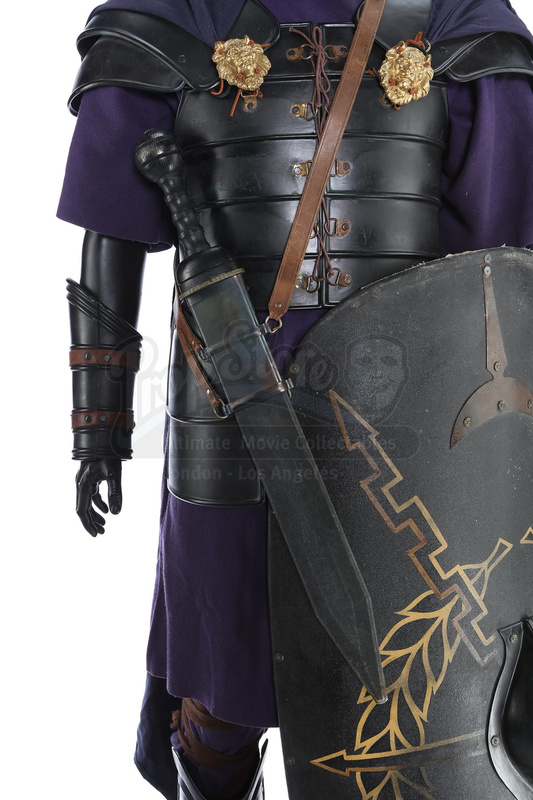 A Praetorian Guard costume, with shield and weapons, from Ridley Scott’s Oscar®-winning action epic Gladiator. 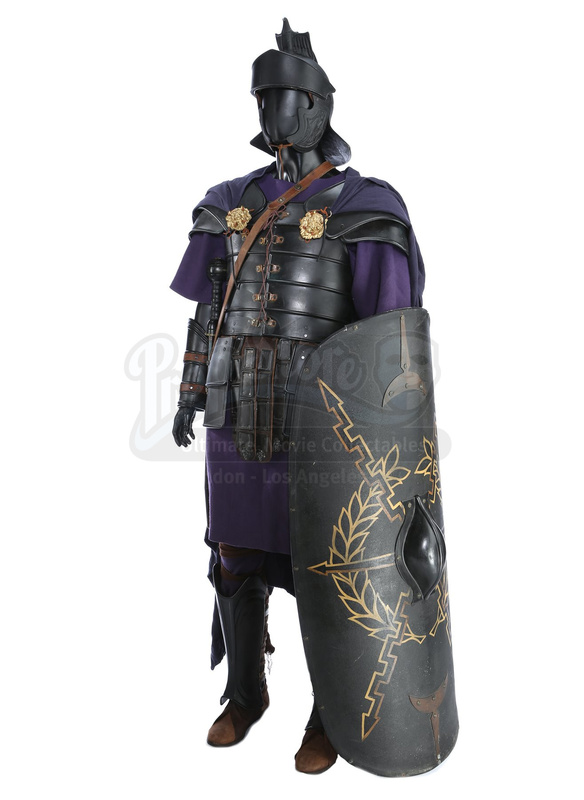 The Praetorians protected Roman emperors Marcus Aurelius (Richard Harris) and Commodus (Joaquin Phoenix) and defended Rome on the battlefield of Germania. 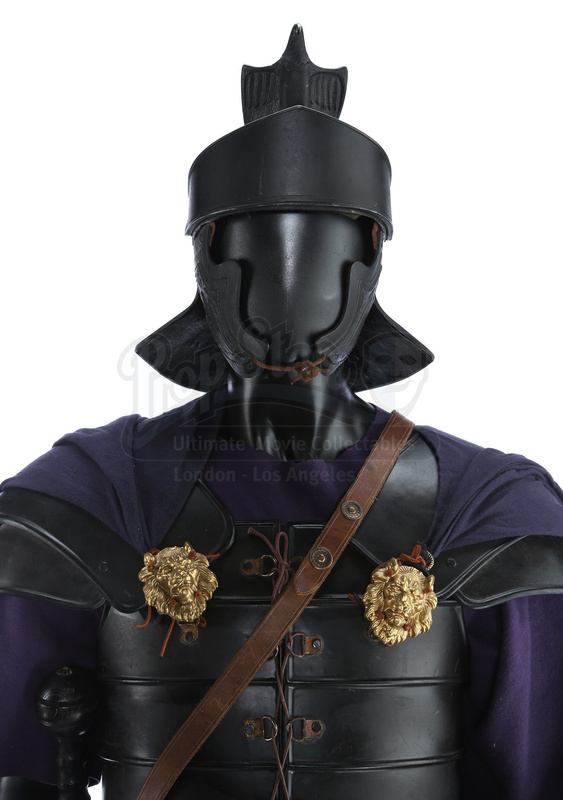 This costume is composed of trousers and tunic made of purple wool, over which are worn a set of plastic lorica segmentata (segmented cuirass) body armour and a leather skirt with plastic armour plating. 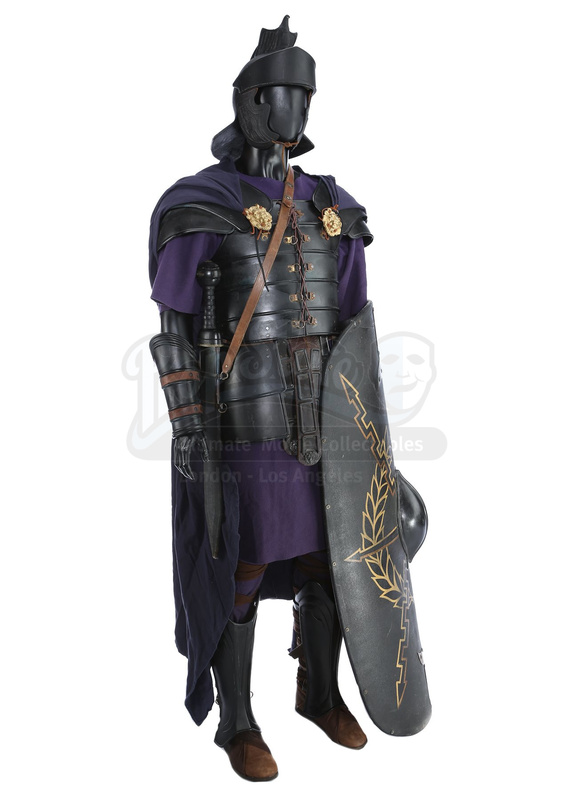 The costume also includes a pair of leather boots, plastic greaves and bracers, a fibreglass helmet with plastic cheek plates and an eagle crest, and a purple wool cape which attaches to the armour with decorative lion resin emblems. 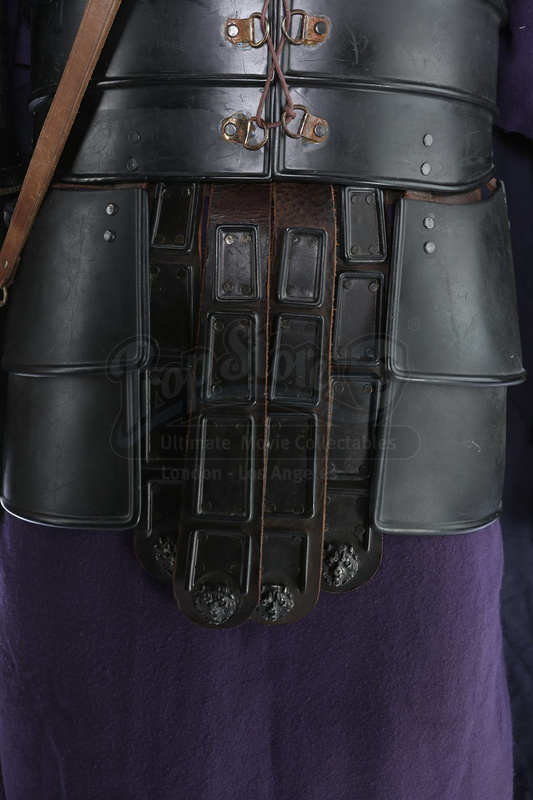 The armour is finished in black, with leather strapping to secure it to the wearer. One bracer is marked with “R SR56” and the other with “BR 200”. 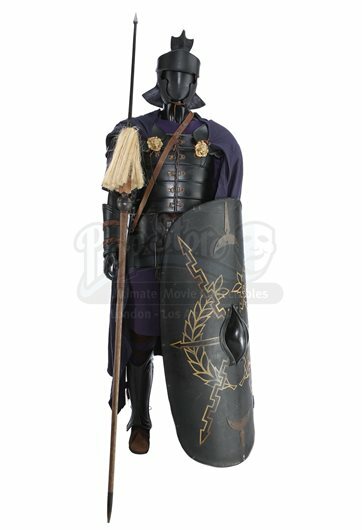 The costume is paired with a shield, sword and spear. 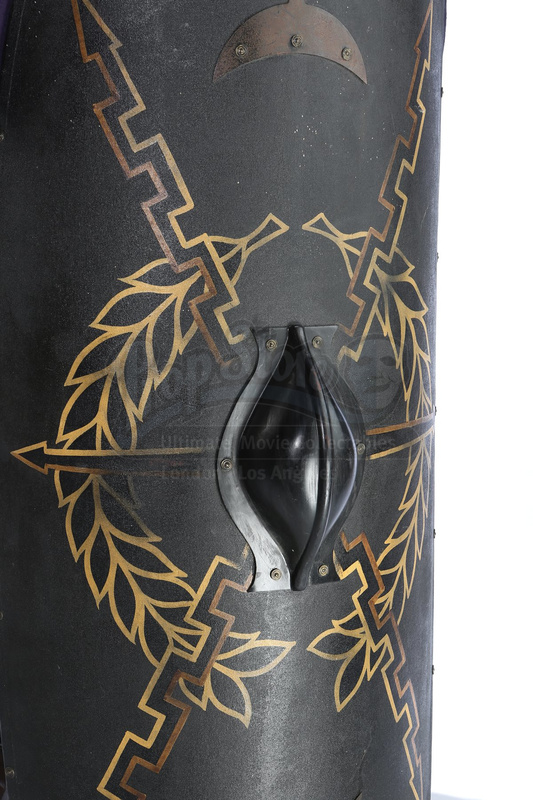 The sword includes a wooden sheath that is covered with canvas. The sword features an aluminium blade with a wooden pommel, hilt and grip. The spear, or pilum, is made of wood with copper detailing and a wooden spearhead. 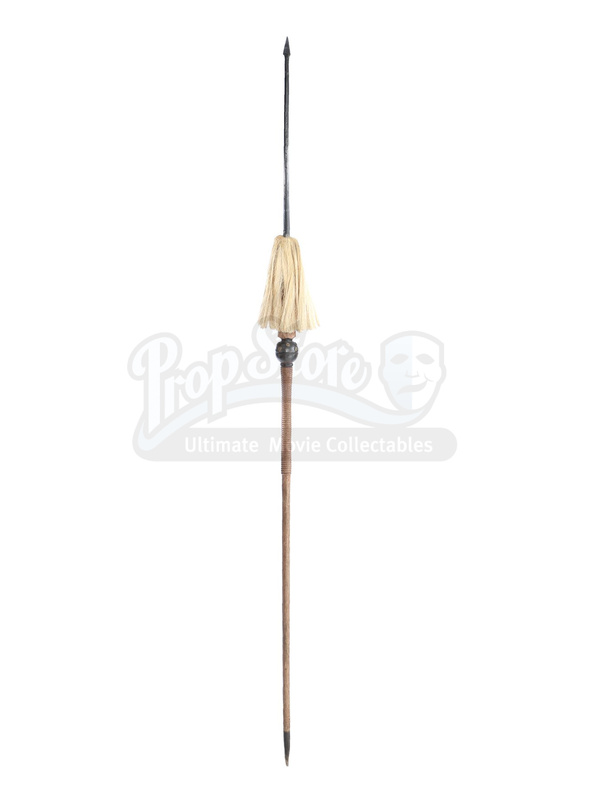 The spear is finished with a white tassel which attaches to the grip. The auction is being held live in London on September 20th at 12pm BST. 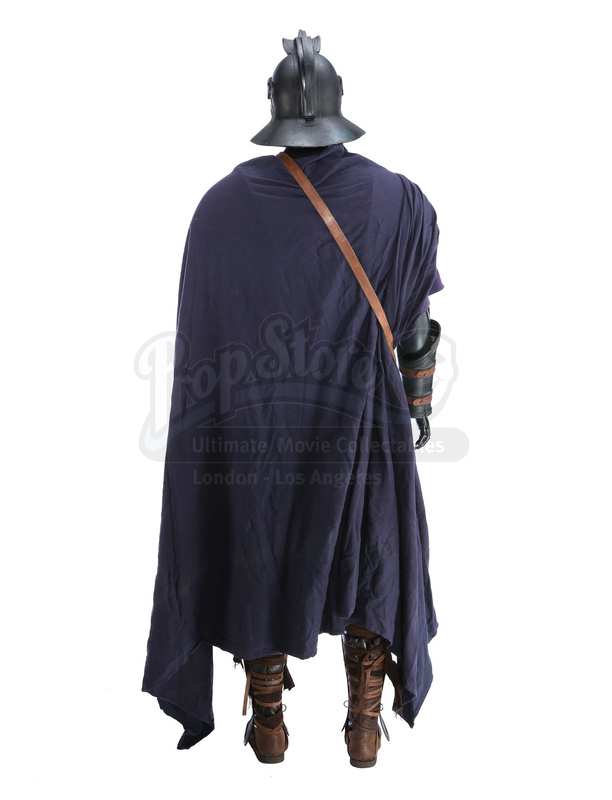 Bidding can be done in person, via Prop Store’s online auction platform, or telephone. 3.2.1. Over 200 of the Lots can be previewed at the public exhibition held at ODEON BFI IMAX, 1 Charlie Chaplin Walk, Waterloo, London SE1 8XR. Please inquire if the lot you are interested in is included in the exhibition.